A good entry for the most baffling sign of 2016 has recently appeared in Dublin’s Phoenix Park. I have gone there most days in the last five years to walk my dog and am well accustomed to keeping her clear of the park’s long-established herd of fallow deer. She now looks over at them with an air of slight bafflement, but is no longer inclined to chase them. Over these five years, I have noticed a definite increase in the numbers of people, mainly tourists, who bring food for the herd. Although this is banned by the park’s by-laws, the rangers seem to have given up trying to enforce it. 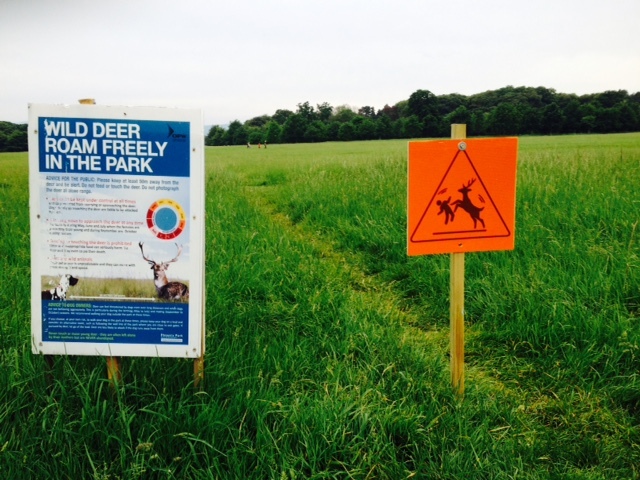 Two years ago, notices were erected all round the park warning users not to approach or feed the deer, but these have been blithely ignored. The signs are printed in English and Irish – if they were in Spanish or Japanese they might have more effect. What on earth does this mean? 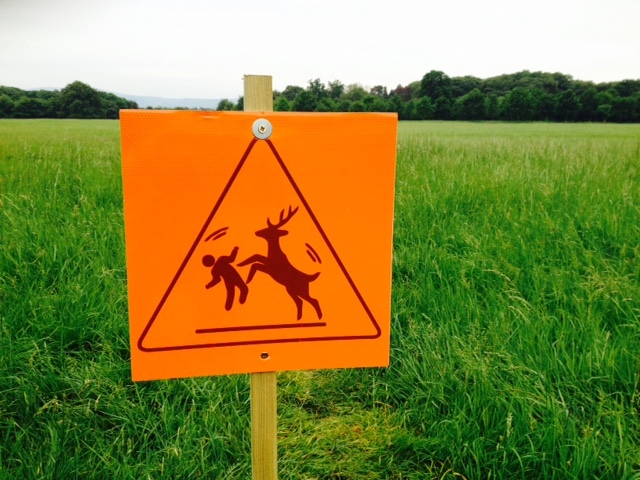 I guess it’s a warning that a deer might get up on its back legs and attack you. But would it do that because you are trying to feed it? Or is the park now full of dangerous deer who might chase you down? Some explanation required, I think.